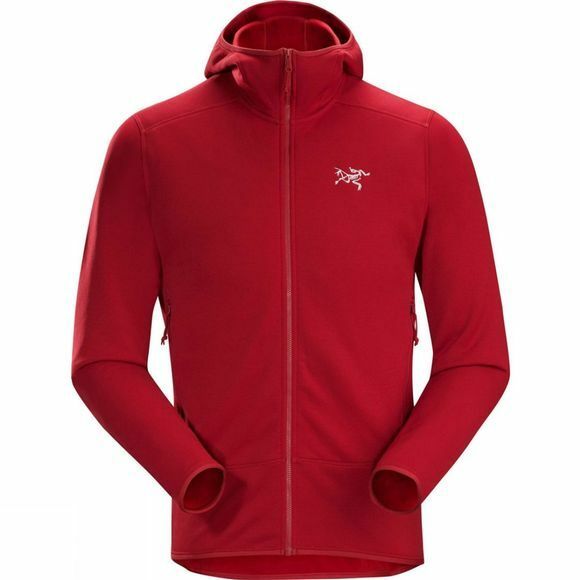 The Men's Kyanite Hoody from Arcteryx is a durable midlayer for long days out on the hill or crag. It boasts a snug fit for optimum wicking performance as well as breathability and freedom of movement while the No Slip Zip prevents inadvertent opening. The ScubaHood is low profile to comfortably sit under a helmet or hood and is great for adding a little extra warmth. It is made with Polartec Power Stretch Pro which offers warmth when you need it.